God Bless the next governor of Texas, Atty General of Texas Greg Abbott, who minced no words in his ruling against the City of Houston's illegal subpoena's issued to some of the Christian pastors in Houston. "AUSTIN -- Attorney General Abbott today asked that the Houston City Attorney to immediately withdraw the subpoenas sent last month to several Houston-area pastors seeking sermons, notes and other information." "Your office has demanded that four Houston pastors hand over to the city government many of their private papers, including their sermons. Whether you intend it to be so or not, your action is a direct assault on the religious liberty guaranteed by the First Amendment. The people of Houston and their religious leaders must be absolutely secure in the knowledge that their religious affairs are beyond the reach of the government. Nothing short of an immediate reversal by your office will provide that security. I call on you to withdraw the subpoenas without further delay." "I urge you to demonstrate the City’s commitment to religious liberty and to true diversity of belief by unilaterally withdrawing these subpoenas immediately. Your stated intention to wait for further court proceedings falls woefully short of the urgent action needed to reassure the people of Houston that their government respects their freedom of religion and does not punish those who oppose city policies on religious grounds. To read the entire letter that Atty General Greg Abbott sent to the city attorney, please click here. 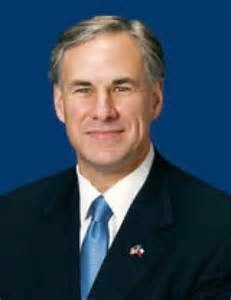 This great Attorney General of Texas, Greg Abbott, will in a few weeks become the next great governor or Texas, when he crushes the sad Democrat Wendy Davis in the November election. Good work, Mr. Abbott! I noted yesterday that Houston city officials were already starting to walk this silliness back ... too bad they didn't have the common sense to shut down the subpoenas before ever sending them in the first place. Exactly big George. They had to start to walk them back with the outrage they got. I think they were shocked by the negative reaction. Thanks big George! The meaning of "pro bono " is for the good of the people. A better term is "Cui Bono?" This means "who benefits?" The Mayor outsourced the subpoena to activist lawyers who held a common agenda. The fact that this would roll over churches did not concern them. To the Left, the Constitution is not a foundation but a speed bump. Yes, and Obama has said that the constitution is an obstacle to "social" justice. Speed bump is a great analogy. Thanks! Who exactly is surprised that the neomarxist mayor of Houston would seek to intimidate political opponents with lawfare? Not this liberty-loving Texan. Not me either poppakap, but unfortunately we are in a minority [a small one] in Houston.